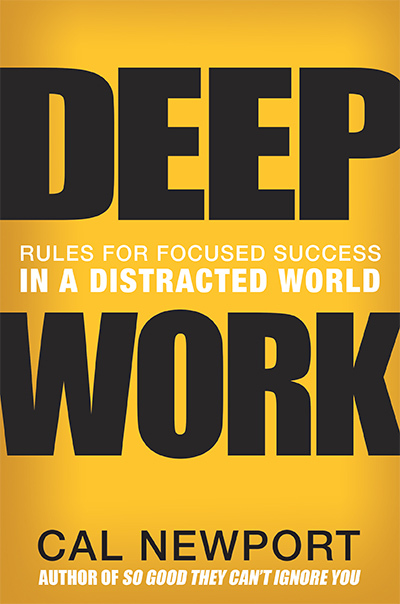 Deep Work by Cal Newport is the kind of book that tells you things you probably thought about vaguely before, but which puts them in a clear way, backed up by evidence such that they are difficult to ignore. He says things like, “to learn hard things quickly, you must focus intensely without distraction”. You already know this but often do not act according to its implications. The modern workplace, along with the technology of constant connection, means that it is increasingly difficult to do exactly this. In fact, multi-tasking, live-tweeting and instant email responses seem to be placed on a pedestal such that we fear disconnection. A 2012 McKinsey study found that the average knowledge worker spends more than 60 percent of the work-week engaged in electronic communication and internet searching. Busyness is seen as a proxy for productivity – it’s about looking like you’re doing something, rather than achieving anything meaningful. This book resonated with me partly because it scared me. I’ve grown up to be increasingly constantly (virtually) connected. Even when I was travelling in Southern Africa last year, I bought a SIM card in every country I visited and only found a couple of places it was impossible to connect (the Kalahari and Mount Mulanje, since you ask). Every time I opened up my laptop in a hostel intending to write a blog post, I would instead get swept up inspecting my Facebook feed or the 300 unread articles in my Feedly. My laptop is nearly always open in front of me, whether at work or at home. There are times I have found it difficult to go more than ten minutes without checking my phone. I fear that my ability to focus for sustained periods of time on a difficult task has been eroded by the ease at which I can pacify myself by checking whether anything new has popped up on The Guardian’s website in the last few minutes that desperately needs my attention. I struggle to stay for long in my discomfort zone. The Deep Work Hypothesis: The ability to perform deep work is becoming increasingly rare at exactly the same time time it is becoming increasingly valuable to our economy. As a consequence, the few who cultivate this skill, and then make it a core of their working life, will thrive. If this is true, and Newport presents compelling evidence in the first half of the book that it is, the fact that many of us tend to be led away from deep work is a big problem. Most of us spend most of our time doing shallow work, constantly responding rather than consciously creating. Our attention is fractured. We think we are multi-tasking when we are rapidly switching our attention between two tasks, diminishing performance in both. In addition, we are still thinking about the previous meeting or email when we move onto the next one – something known as attention residue. 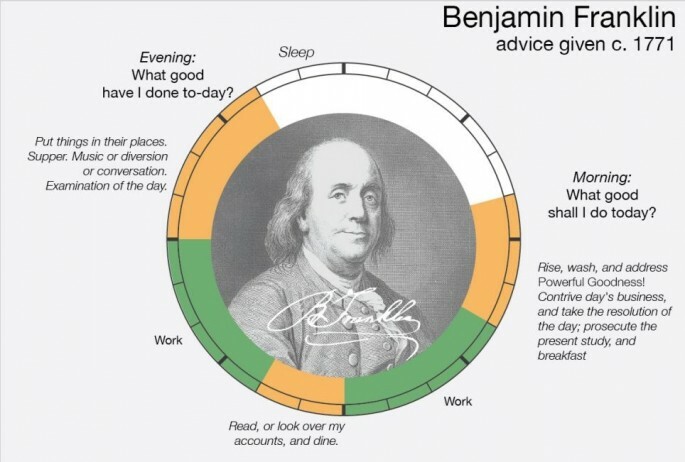 Deep work is the difference between the good and the great. You can get by in this world while doing mostly shallow work, but it will be less fulfilling and you’ll spend longer doing it. Newport makes the case that the ability to work deeply is what will allow people to thriving in tomorrow’s economy, in which you’ll need: (1) The ability to quickly master new things; and (2) The ability to produce at an elite level, in terms of both quality and speed. This is not (just) about productivity for productivity’s sake – it’s about life satisfaction: “To build your working life around the experience of flow produced by deep work is a proven path to deep satisfaction”. Cal Newport is a computer scientist who specialises in the theory of distributed algorithms. He achieves an impressive rate of publication while finishing around 5pm each day and not working weekends. So how does he manage this? The second half of Deep Work is spent outlining four rules, or interventions, for moving us beyond intentions from the shallows to the deep. I will not try to recap all of the strategies outlined in the book, but here are some of my favourites. Can you give up email entirely and concentrate solely on your most important work? Try the monastic philosophy and eliminate distractions as much as possible. Can you put aside weeks or months without connection to the internet? Try the bimodal philosophy that mixes extended time without interruption, with periods in the office. More likely, you’ll prefer the rhythmic philosophy of putting aside an hour or two each day at the same time or the journalistic philosophy of taking time wherever you can. Whichever one you choose, make rituals out of it and stick to them – that’s what most great thinkers have done. Unfortunately, reading books about focus does not give you the ability to do it. (Much as writing a great blog post on procrastination does not mean that you will not procrastinate on preparing a TED talk on the same subject. I guess it’s a case of selection bias.) You have to practice concentrating for progressively longer periods of time. This requires embracing boredom, not fleeing it. And this requires shaking an addiction to on-demand distraction even when we’re not doing deep work in the same way as athletes have to keep up a healthy diet even when they’re not training. The internet is by far the most distracting force in my life so this is a big one for me and a great form of concentration training. It’s very important to keep your off-line periods intact – you may just have to schedule more frequent email checks if you consider it an important part of your work to be looking every fifteen minutes. You can also do this at home, to improve the quality of interactions with family and friends. Another reason to like this book: it’s an antidote to the idea that working long hours and missing out on quality time with friends and family is a necessary part of being successful. Sure, cutting out social networking may make us less easy to contact, but Newport’s advice would drastically increase the time we really dedicate to those close to us. He advocates having a shut down ritual at the end of the working day to review outstanding tasks and finish up work thoughts for the day. And then not looking at emails in the evening. Not at all. Social media can have positive impacts on our lives. As someone who is always far from at least some of my friends, it’s great to be able to maintain connections and see what people are doing. Several times I’ve had conversations with authors of the books or blogs I’m reading and have gone onto meet them in person. But regular checking of social media also hinders me in reaching my goals by giving a super-easy way to pacify myself when I should be doing deep work. Newport suggests only using a social media tool if the benefits far outweigh the costs. He advocates banning yourself from using social media for thirty days (not using it, but also not deactivating it). At the end of this time, ask yourself whether the last thirty days would have been notably better if you had been able to use the service and whether people cared that you weren’t using it. If the answer to those questions is no, then quit permanently. As I read the book, I realised that improving my ability to do Deep Work is a sort of meta-goal for my current sabbatical. The fact that I have no manager standing over me is both an opportunity and a threat. It means that I can spend my time doing things that matter for me, but also that I’m accountable only to myself and face no external sanction if I do not deliver. I believe that I’m improving. Since reading the book I’ve deleted Facebook, Twitter and news apps off my phone and am striving to not look at my smartphone at the first sign of a pause in proceedings. I recently went a week without looking at Facebook at all. This is not to say I don’t still get caught in YouTube loops, but armed with a greater understanding of the value of deep work, I have something to aim for. It’s not a coincidence that I wrote a big chunk of this blog post on a train without Wi-Fi and with my phone in my pocket with data switched off. I’ve spoken to several friends about this book and have been surprised at how many people are feeling the same way. We know that distraction is not good for us and some have taken steps to leave social media, or at least reduce our use of it by having brick phones. I would strongly recommend Deep Work to anyone who feels frustrated by working in the shallows. It’s underpinned by evidence, highly practical and honest. I would suggest it could have a big impact on your life, but I’ll have to prove that to myself first. It’s won’t be easy, but it would be so worth it. How different our lives are when we really know what is deeply important to us, and, keeping that picture in mind, we manage ourselves each day to be and to do what really matters most.